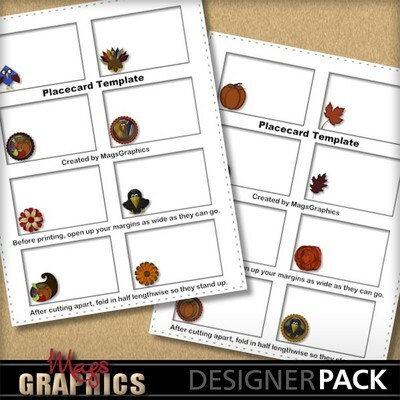 Print out your own PLACE CARDS for your Thanksgiving table! Either add the text in your scrapping program, or hand-write them after they've printed! If you use MMS, you can customize these within the MyMemories Suite program, but the fused JPGs are also included for people who use other programs. This Craftable uses embellishments from the FALL CORNUCOPIA kit and add-ons.